NextReality is going to Tektónica – International Building and Construction Fair! From the 16 to the 18th of May we will be augmenting The Largest Portuguese Building and Construction Fair. Want to see, visit and explore a house that hasn’t been built yet? 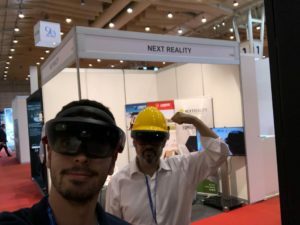 Come see us and find out the potential of Augmented and Mixed Reality in Construction.